Fresno Yosemite International Airport (IATA: FAT, ICAO: KFAT) is a civil-military airport located in Fresno, state California, USA. The airport mainly serves the San Joaquin Valley and Sequoia, Yosemite, and Kings Canyon parks. The airfield is operated by the city of Fresno and is acting as the central hub for several American airlines. Moreover, Fresno Airport hosts some law enforcement, firefighting, military, and medical air units. The Fresno Air Attack Base, together with the California Highway Patrol, the Fresno County Sheriff's Office, the California Army National Guard, and the Fresno Police Department, has its office in the airport. 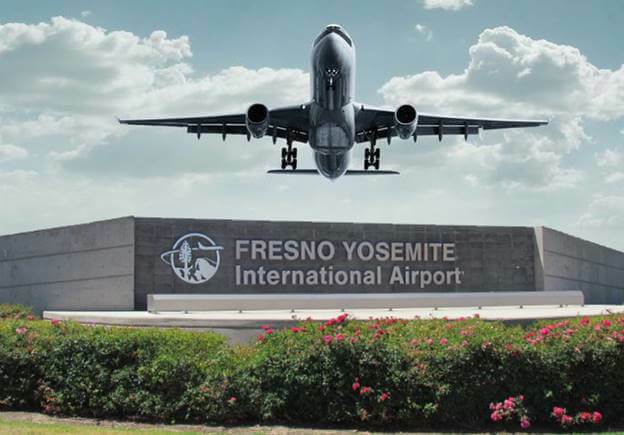 Fresno Yosemite International Airport covers a total area of 699 hectares and is located 102 meters above the sea level. The airfield has two operating runways: 11L/29R which is 2.907 meters long and 11R/29L which is 2.441 meters long. In 2017, the airports served 99.559 aircraft operations, 61% of which were general aviation operations, 18% were scheduled commercial flights, 15% were air taxi services, and the rest 6% were military aircraft operations. Notably, Fresno Airport hosted approximately 179 aircraft, 56% of which were single-engine ones, 14% were multi-engine, 13% were military, 7% were jets, and about 7% were helicopters. The number of passengers carried in 2017 reached 1.298.000 people. Fresno Airport is the base for a favorite American airline SkyWest Airlines, which is also regarded as the most significant national airline of the United States. That airline carries about 50%-60% of all aircraft operations of the airport. Another airline operating through the airport is Allegiant Air, which serves flights to Las Vegas. Moreover, American Airlines, United Airlines, and Frontier Airlines offer flights to Dallas, San Francisco, Denver, etc. The most extended operating carrier of the airport is United Airlines, however, which is not operating directly nowadays. It shifted service to SkyWest Airlines in the 1990s, which is not providing flights as United Express.